I responded to the EHRC by email because their tick-box menu of choices did not cut it for me. 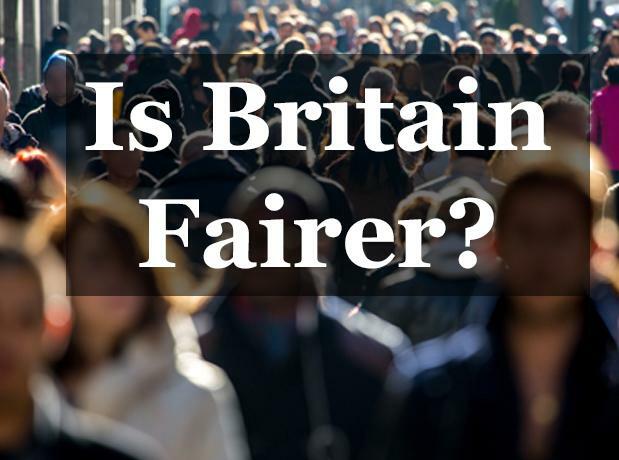 I prefer to start further back, with the EHRC report Is Britain Fairer (2015) itself. What am I to say when the arbiters of fairness are themselves unfair? Is this an unfair assessment? Let’s see. In 2008, men were more likely to have a degree than women (22.3% of men compared with 20.5% of women). By 2013, women had overtaken men, with 27.7% of men holding a degree compared with 28.4% of women. So, a gender gap in HE attainment in favour of females then, but of negligible magnitude and of only recent occurrence. I presume this unexpected perspective must relate to degrees held by the whole population – including people whose degrees were awarded more than forty years ago and whose educational qualifications ceased to have any significance decades ago. Is this a fair reflection of the current relative status of the genders in HE attainment? The truth is that women have been awarded more degrees than men every year since 1993. Most people gaining degrees this year were not born when men dominated in HE. Moreover, the gender gap in degree attainment widens year on year. It stands now at 35% more women gaining degrees than men. The number of first and upper second class degrees awarded to women exceeds that awarded to men by a similar percentage. The DoE also volunteered the information that, “The DoE funds the Further Mathematics Support Programme (£5,008,667 in 2015-16) and the Stimulating Physics Network (£2,149,572 in 2015-16)……they do place some additional emphasis on addressing the low proportion of girls progressing to these A levels.” Do note that STEM subjects (plus architecture), the only areas in which males dominate at university, account for only 17% of degrees awarded annually. And yet these are the subjects given gender-specific assistance – in favour of girls – and this skewed concern persists at university level with the operation of Athena Swan. The fact that the Education Secretary is also Minister for Women and Equalities can hardly help. Indeed, the fact that “Equalities” is elided with “Women” is the source of the problem. No doubt Nicky Morgan expects that when boys are raised to be “confident feminists” this will make all the difference. Others may think that, since 7 year old boys already expect to fail, what we have here is a case of low-expectations-breed-low-achievement. And from whom does this low expectation emanate? Surely not from society as a whole? A society which now regards, not merely young men but specifically young white men as the most derided socio-ethnic group. But aren’t we constantly told that they are the most privileged group? And for an organisation so keen on intersectionality one might have thought that the intersection of “poor” and “male” might have provoked some comment in the context of longevity – the gender gap in life expectancy increasing in the lower socioeconomic strata. In contrast, the gender gap in life expectancy disappears in more affluent socioeconomic groups, thus providing evidence that the more typical gender gap in life expectancy is not biological. This also escapes the attention of the report. This is a most peculiar statement given that the total number of deaths of males under 85 exceeded that of females by 37,192 in 2013. In 2012, 8,313 more males than females died of cancer. One might have thought this worth mentioning in a section on health care disadvantage, but no. Similarly the 40% excess male deaths due to heart attacks might have been thought pertinent here. Also, this section of the report would have been an ideal place to raise the disparity in research funding into gender specific diseases – but no. Gender pay gaps widen with age. In 2013, the gaps ranged from 3.5% for the 16–24 and 5.3% for the 22–29 age groups, to above 20% for all those aged 40 plus. For those aged 50 and over, the gaps have changed little since 2005 whereas, in younger age groups, the gaps are narrowing (Department for Culture, Media and Sport, 2014). Exactly what “gap” is this? It is not defined. Is it part time and full time work combined? Does it include overtime and bonuses? Is it based on actual earnings, irrespective of hours worked? As they stand the statements in the report on “pay gap” are meaningless. And why is the Department for Culture, Media and Sport being quoted as a source, for God’s sake? The 2014 ONS Annual Survey of Hours and Earnings, Figure 9, gives the gender gap in hourly pay rate, excluding overtime, for full time work. In the age range 21 to 40 the pay gap is slightly in favour of women, by a percent or so. (This pay gap in favour of women is set to increase due to the greater proportion of women graduates). Over the age of 40 the pay gap is in favour of men for reasons that even the most ardent of feminists understands very well. It is due to women either leaving the workplace, temporarily or permanently, or changing to part time work – primarily due to childcare. Men then continue to progress in seniority, and pay, whilst women less so. What it is not is unfairness (i.e., unequal pay for the same work). But feminists present it as unfairness to disguise their true agenda – which is to get more women out to work and have their children raised by strangers – an agenda which, presented so bluntly, is not so attractive to women. 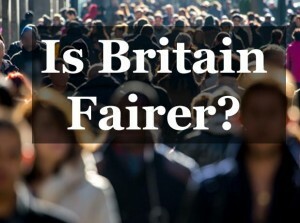 At this point the political nature of the so-called Fairness report is exposed most clearly. We read that, “Women were less likely than men to be employed… Women were over-represented in part-time work“. But by what objective measure is this a disadvantage to women? British Social Attitudes surveys continue to reveal that women would prefer looking after home and children than going out to work full time – in which case not working or being in part time work might, depending on their circumstances, be their preference. The presentation of this as inequality or unfairness reflects only the political agenda behind the report, not an objective assessment of the population. Throughout most of my working life I worked around 55 hours per week compared with my wife’s 12 hours per week. Was my wife disadvantaged? I don’t think so – and nor did she. As she often expressed it herself, “one of us might as well be happy”. It was a sentiment I was content to endorse. Nasty, isn’t it? But the nastiest part is that, not only are adult men excluded from equal compassion in the event of being the victims of violence, but boys of however tender an age are also excluded. VAWG policies already in place within the UK are similarly obnoxious but the EU convention, if ratified, would enshrine even more swinging infringements of basic human freedoms for male citizens. The espousal of this vile Convention by the EHRC is totally incompatible with an organisation supposed to uphold either equality or human rights. A number of high profile independent inquiries have highlighted serious issues in relation to child sexual abuse and exploitation in England and Wales. These include: The Jay inquiry into child sexual exploitation in Rotherham (Jay, 2014), and the Serious Case Review into child sexual exploitation in Oxfordshire, concerning the grooming and abuse of vulnerable girls (Bedford, 2015). Either the authors haven’t actually read these reports or they have deliberately obscured the victimisation of boys. They have reinforced the false impression that the press, and the BBC, have promulgated – that the victims were all girls. But at least 70 of the Rotherham victims, and about 50 of the Oxfordshire victims, were boys. The Rotherham report explicitly cautions against the very error which the EHRC makes in overlooking the boys. It stresses “the importance of making sure that judgments about child sexual exploitation are consistent and gender neutral, for example by asking if the same level of risk would be acceptable if the child was the opposite gender“. Next up: prisons. There is no mention in the report of the 20:1 male:female ratio in prisons, nor that this ratio is due, in large part, to the far harsher treatment meted out to men. This is not surprising since there is no public acknowledgement of the fact, despite it being very obvious on perusing the sentencing data. But it is one of the more flagrant discriminations against men and its omission from the EHRC report further undermines its credibility. The report rightly mentions the appalling suicide rate in prisons. What it does not mention is that these are almost all men. This would inevitably be the case even if the per capita rate of suicide amongst male and female prisoners were the same, simply due to the 20:1 ratio. But it isn’t. The male per capita rate is worse. Despite the rate of male suicide in the population at large being a distressing 3.8 times that of females, the per capita rate of suicide amongst male prisoners is six times higher still (so a male prisoner is 23 times more likely to kill himself than a free woman). No mention of these glaring gender disparities in the report. More recently we hear that withholding children’s visiting rights is being used as a punishment for male prisoners, a thing which would not be contemplated for female prisoners (and rightly so). the operation of the family courts and the devastation they wreak commonly on fathers, sometimes on mothers, and always on the children. What about the inequality imposed on children raised without two live-in parents? These things are, I know, the Wrong Sort of Equality. This entry was posted in Equality on 18th December 2015 by William Collins. “Department for Culture, Media and Sport ” Just about sums up the dissembling to deceive. A work of fiction. Yet something that guides policy. Many thanks for your tireless work William – I reference it constantly when I’m pushing back. In the face of my personal struggles and the bigger picture that you, and others, paint; I find myself in roller-coaster states of incredulity, futility, anger, enlightenment and combativeness. Actually rather refreshing. On a small aspect of your post, relating to the ‘pay gap’; I was recently researching material to reply to an article on the ‘crisis’ of the lack of women in STEM and read a survey by the website for freelancers; Elance. The survey was of female members working in technical fields, 78% of whom do over 3/4 of their freelance work online. One of the questions asked was about their motivations, with 60% of the respondents giving: “to be able to stay at home with the family” as a reason. Who would have thought! The interesting thing though; this is a large, growing economy that’s not delineated along national boundaries, although 1/2 the people and 3/4 of the work is in the USA. I would hazard a guess that these women are invisible to the statisticians who compile jobs and pay data. It’s likely that even woman who work as traditional consultants, who do so for similar reasons as the survey respondents, are under-represented in the data. This could skew the data disproportionately because more women specifically choose freelancing / consulting for it’s flexibility. A superb… and massively depressing piece. Nothing will change. Nothing can be done. And we will always hear about ‘women’ as the group being oppressed / discriminated against. I feel genuinely sorry for boys born into this society – they won’t be told women are their masters, and they’ll have a life of confusion as a result.